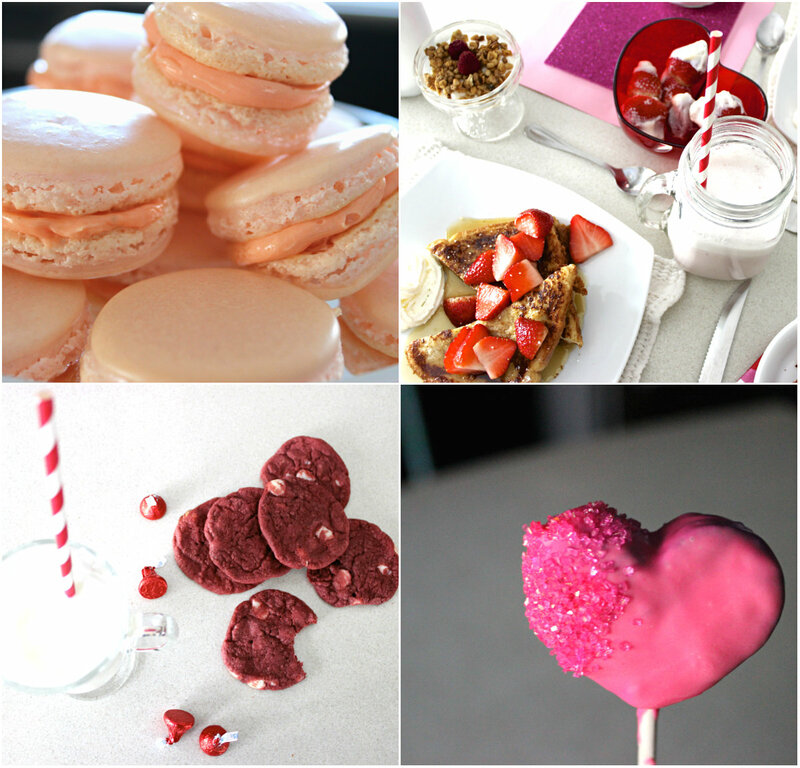 With Valentine's Day quickly approaching I thought I would share some of my favourite and sweetest posts which can easily double as treats for your Valentine! Why not try your hand at making macarons? I promise they're not quite as intimidating as you may think! Or, why not have a V-Day brunch complete with homemade strawberry milk, and chocolate stuffed french toast? You could always make a batch of red velvet cookies, or heart shaped cake pops. They can be easily packaged, and are sure to make anyone smile! I'd love to know- do you still give out Valentines? I can't believe you've made such perfect macarons! I'm so intimidated to try it out! They aren't as scary once you get started! Promise! Just follow the recipe closely and you're good to go.